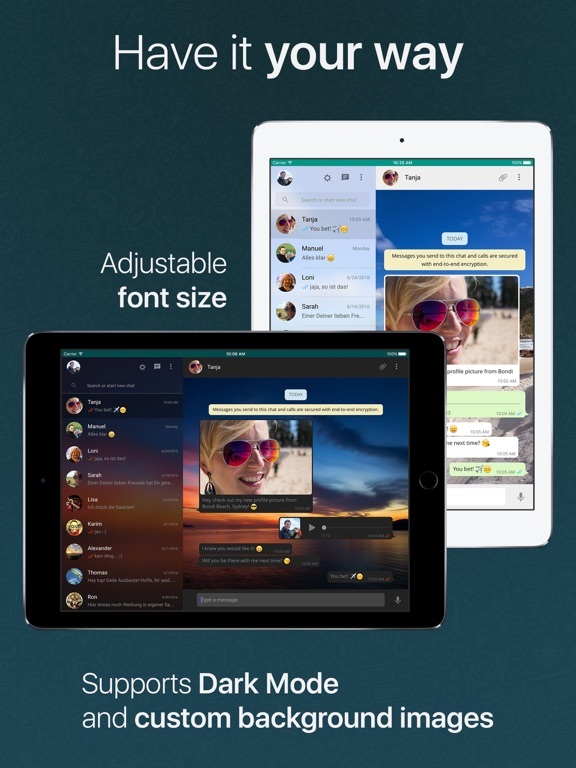 ChatMate for WhatsApp, the successor of the famous App for WhatsApp, is the best and most powerful way to use WhatsApp on your iPad Pro, iPad Air, iPad Mini or iPad. Of course it is completely ad-free! Only with ChatMate for WhatsApp you can send and receive text messages, voice messages, photos, videos, documents and Emojis. 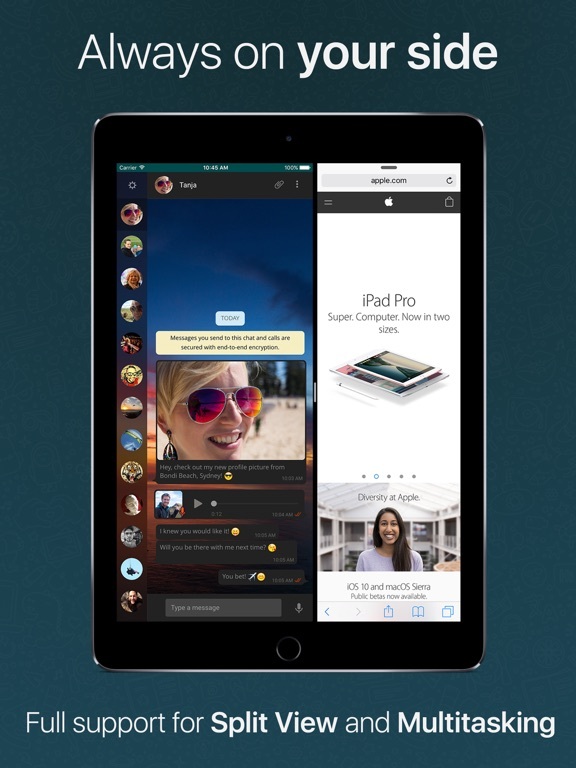 And of course all your messages are secured using End-to-End encryption. 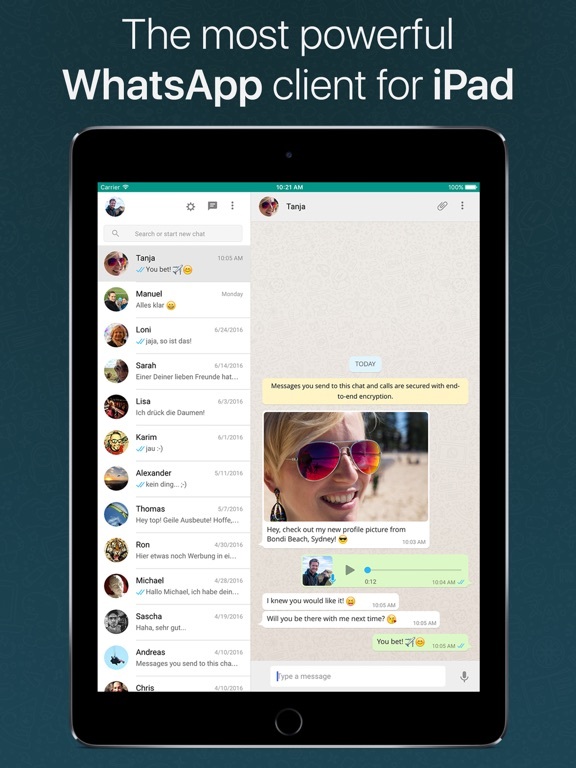 It is the must have App for any WhatsApp addict with an iPad! 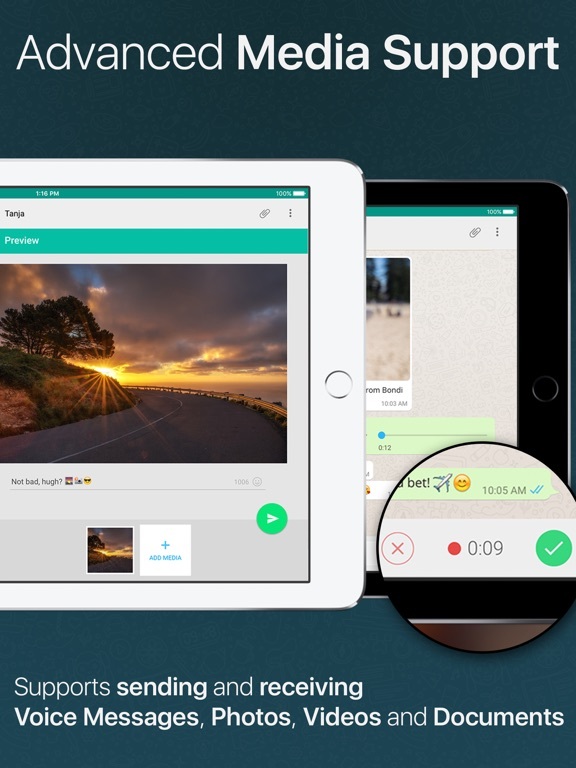 With ChatMate for WhatsApp there are no hidden costs, no In-App purchases and no ads. (If you are unsure please open WhatsApp on your Smartphone, navigate to settings and check for a "WhatsApp Web" option). • Fixed an issue with the software keyboard on iOS 11.1. 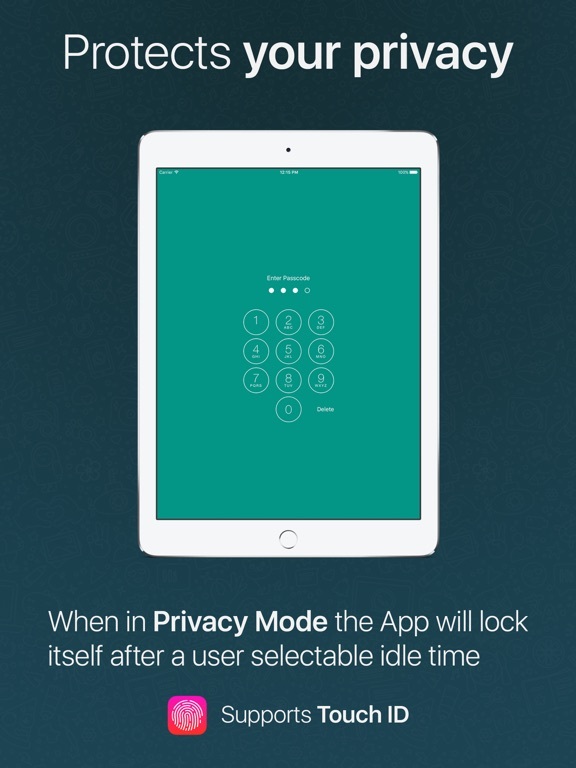 • On popular demand: This version brings back compatibility with iOS 9. This update concentrates on optimisations of the app, which is now based on the brand new Swift 4 technology. • Full compatibility with iOS 11. • Various bug fixes and optimisations. • Codebase updated to use the latest Swift 4 technology. • Fixes an issue that could lead to wrong UI colours when using Dark Mode. 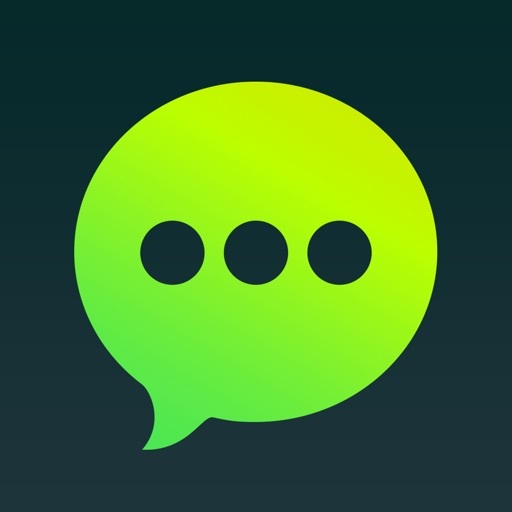 • Fixes an issue that could prevent users from listening to voice messages.